Volunteer founded and volunteer led, the YMCA was established in London, England, in 1844 by George Williams, a draper’s shop assistant, to give young men an alternative to life on the streets. 1844 First YMCA was founded in London England. 1852 Third oldest YMCA was founded in Montreal. 1852 Fourth oldest YMCA was founded in Springfield- 5/3/1852 (second oldest Y in the USA) Old First Church was the site of the first association meeting. 1873 Milton Bradley (publishing/lithography) was elected President now known as Chief Volunteer Officer from 1873 – 1874. 1885 YMCA International Training School now Springfield College. 1891 Luther Gulick, superintendent of the physical department, at the International YMCA Training School, assigned the task of creating an indoor game to be played by students. The game of basketball was invented by James Naismith. 1896 Camp Norwich, on Lake Norwich Huntington, MA was the first Y camp in New England. Closed in 1989; sold to Springfield College 1994; purchased back 2002; sold to Hampshire Regional YMCA 2006. 1904 Springfield YMCA Railroad – Railroad YMCA associations popped up nationwide. 1915 Horace Moses; President 1915 – 1917. 1916 New Central branch moved to Chestnut Street & Hillman Street location. West Springfield Branch – Horace Moses, Strathmore Paper, was involved with the development of this branch as well. Endowment gifts from Mr. Moses still support the YMCA of Greater Springfield with our mission. 1919 The YMCA contracted with Northeastern College to become a division of the Springfield Northeastern College now known as Western New England College (WNEC). 1963 Women were invited into “everything YMCA”. 1965 Paucatuck Park Family Center/Camp Weber established; Years later the Agawam Family Center/Camp Millbrook was established. 1968 Moved to our new and current location, 275 Chestnut Street, Springfield. 1996 Scantic Valley YMCA – “Y Without Walls”. 1997 North End Youth Center was established in the old Jefferson Theater, Main St, Springfield. It was a collaboration of local agencies to keep our kids safe and off the streets. 2002 Capital Campaign started; the purpose of the campaign was to build a new branch for the Scantic Valley YMCA and create a new home for the NEYC. 2004 NEYC moved to its new location at 1772 Dwight Street, Springfield in the former Blessed Sacrament Church in January. 2004 Scantic Valley YMCA opened its new facility at 45 Post Office Park in Wilbraham in September. 2005 Scantic Valley Child Development Center was established: it is also located in Post Office Park Wilbraham, opened in September. YMCAs are collectively the largest not-for-profit community service organization in the U.S. YMCAs are for people of all faiths, races, ages, abilities and incomes. Nobody is turned away for inability to pay. YMCAs are the heart of community life in America: 42 million families and 72 million households are located within three miles of a YMCA. 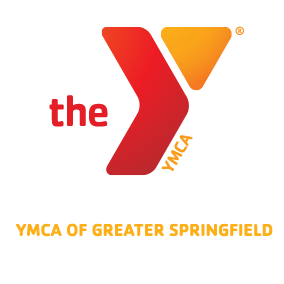 Since 1852, the YMCA of Greater Springfield has been a way of life for thousands of youth, teens, families and seniors throughout our region. As one association, we are working together to meet the growing needs of the 14 cities and towns that we serve. Help us provide opportunities for Youth Development, Healthy Living and Social Responsibility to more members of our community by making a donation to our Annual Support Campaign.